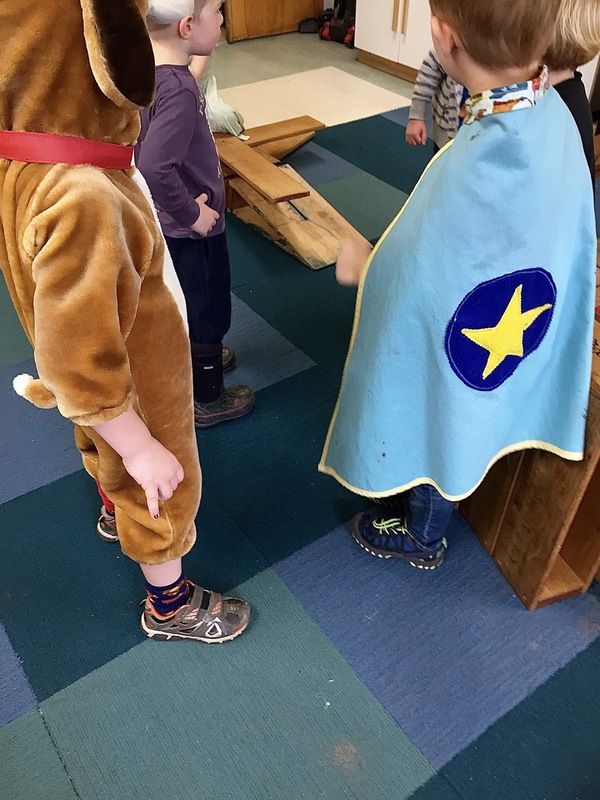 The most popular dramatic play game during the first couple months of school had been "super heroes." It was mostly boys, but they hadn't been particularly exclusionary, with several of the girls regularly joining them, often making up their own hero names like "Super Cat" due to the lack of female characters of the type in our popular culture. This in turn inspired some of the boys to make up their own hero names like "Super Dog" and "Falcon," along with their own super powers. And although there had been a few instances of someone declaring, "We already have enough super heroes," in an attempt to close the door behind them, most of the time, the prerequisite for joining the play was to simply declare yourself a super hero, pick a super hero name, and then hang around with them boasting about your great might, creating hideouts, and bickering over nuance. 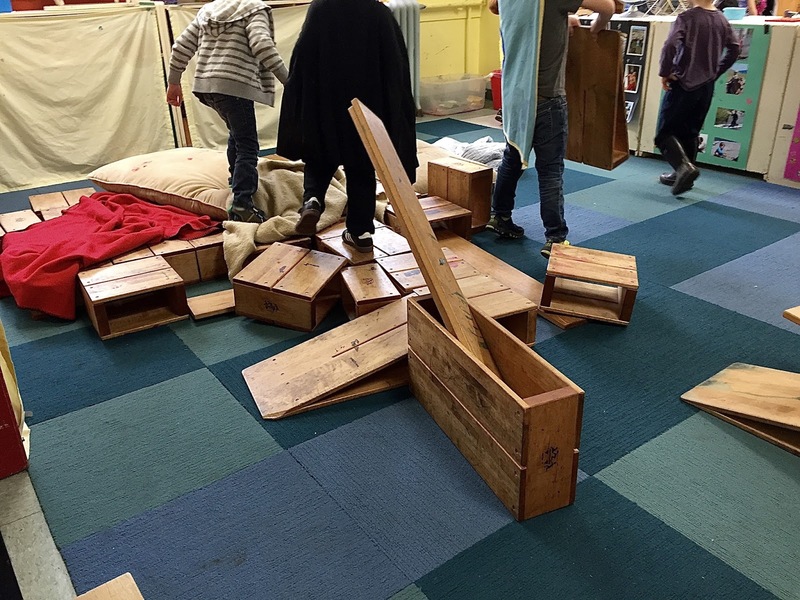 A few months into the school year, however, a break-away group began playing, alternatively, Paw Patrol and Pokemon, which looked to me like essentially the same game with new characters. One day, some boys playing Paw Patrol used all of the big wooden blocks to create their "house," complete with beds and blankets. A girl who was often right in the middle of the super hero play wanted to join them, but when the boys asked, "Who are you?" she objected to being a Paw Patrol character at all. 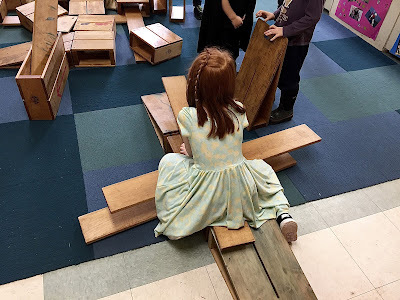 Indeed, she wanted to play with them and with the blocks they were using, but the rub was that she didn't want to play their game. 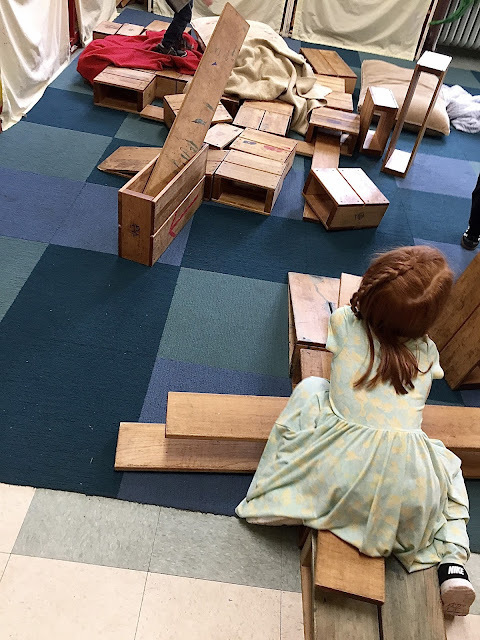 She arranged her blocks, then sat on them, glaring at the boys. They ignored her. I was sitting nearby watching as her face slowly dissolved from one of anger to tears. An adult tried to console her, but was more or less told to back off. I waited a few minutes, then sat on the floor beside her, saying, "You're crying." Here is a link to the actual study. And this is far from the only research that has produced these and similar results, just the most recent one. Books make great gifts. 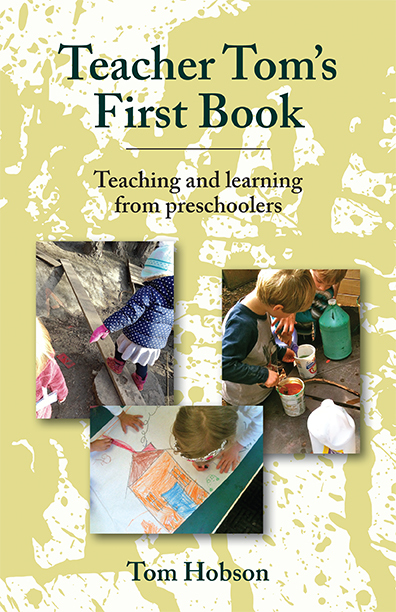 Maybe someone you know would like their very own copy of my book! 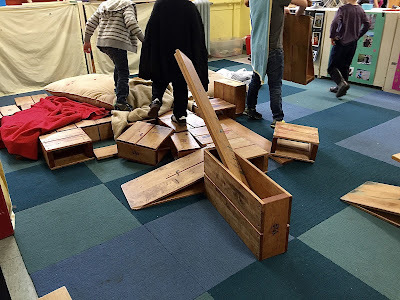 "You Just Teach Silly Things"
I Worry About "Loose Parts"